Meticulously maintained, three level townhouse in desirable Elmwood Village. Open concept kitchen/dining/living area with hardwood floors and a gas fireplace. Spacious kitchen with granite countertops including a breakfast bar and stainless appliances. Two master suites, one on the first floor and then another more private master on the 2nd floor. Loft area on the 2nd floor perfect for a living room, office or both. Even more space in the finished basement, ideal for a family room or bedroom for the extended family. Two car garage, deck with private views and professionally managed complex makes this home a perfect opportunity for any buyer. 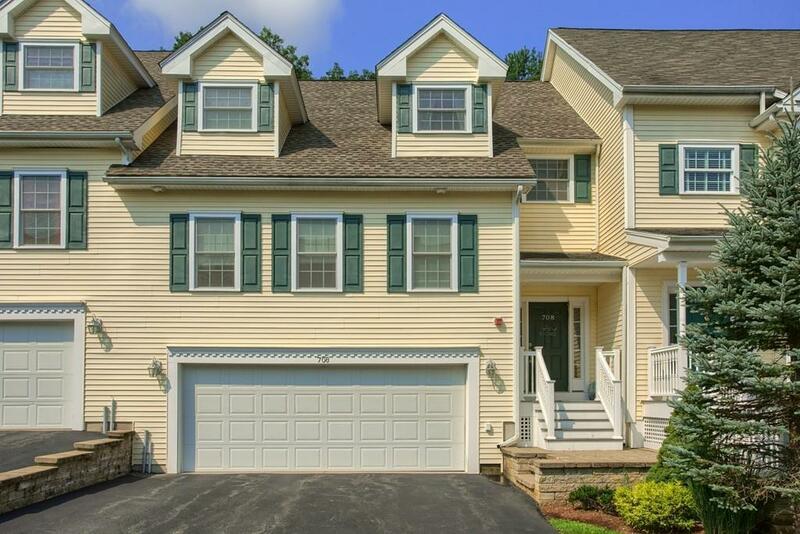 Listing courtesy of Jennifer Langone of Coldwell Banker Residential Brokerage - Tewksbury. Disclosures Subject To Sellers Finding Suitable Housing - House Has Been Chosen. Exclusions Washer/Dryer. Light Fixture in 1st Floor Bedroom. All Curtain Rods including One Over Fireplace. Listing provided courtesy of Jennifer Langone of Coldwell Banker Residential Brokerage - Tewksbury.